Why is Michael Jackson’s estate back in the news? When Michael Jackson died in 2009 at age 50, he left a will that specified what should be done with his assets. He may not have taken into consideration what those assets would be worth in subsequent years…but the IRS has now done so. There is now a huge dispute between the Internal Revenue Service and Michael Jackson’s estate over what should be paid in estate taxes. According to Michael Jackson’s representatives, the value of the estate is currently $2,105; according to the IRS, it’s more like $434 million. “With interest and penalties, lawyers estimate the case – set for trial at a Los Angeles tax tribunal in 2017 – could be worth more than $1 billion.” The outcome of this trial could impact celebrity estate planning. Howard Weitzman, the estate’s lead attorney, that the Michael Jackson name has “experienced a commercial rebirth thanks to the savvy executors who have managed the estate’s assets.” He estimates that Jackson earned no more than $50 million for the licensing of his name and image when he was alive and doesn’t think that what’s been done since Jackson’s death should impact what the estate pays. It is important to note that this is the first time ever that the IRS is pursuing estate taxes for name and likeness earnings after a celebrity’s death. If the estate loses the case, Michael Jackson’s heirs will be hit with a huge tax bill. If the IRS wins, this will probably be the first of many celebrity estate cases that it will pursue. You are probably not worth $434 million and your heirs won’t be faced with this kind of issue when you die. However, knowing what your estate is worth and putting into place the correct type of plan to protect these assets for your loved one is critically important. If you don’t have a will, you should consult an estate attorney and get one written today. Otherwise, the government will decide what will happen to your assets and your family will have no say in the matter. This entry was posted in Estate Planning and tagged diesmart, Estate Planning, inheritance, Michael Jackson, Probate, trust, will on April 24, 2016 by Minna Vallentine. Does your state law protect your digital assets? Last year, a comprehensive law was proposed by the National Conference on Uniform State Laws. That law places access to a wide range of digital assets on a par with access to traditional tangible assets. Nearly half of U.S. state introduced legislation in 2015 to enact this revised Uniform Access to Digital Assets Act (UFADAA). However, most of them have been unable to actually pass the law due to opposition from Internet and telecommunications companies. As of March 2016, only four state have enacted legislation based on this Act – Oregon, Wyoming, Tennessee and Florida. Are you concerned about who will have access to your digital assets when you become incapacitated or die? Do you care whether family members can see your emails and other personal electronic correspondence? Would you prefer that loved ones can continue to maintain your Facebook account or do you want it shut down? These are just a few of the questions that the revised UFADAA may be able to address…only if your state adopts appropriate legislation. 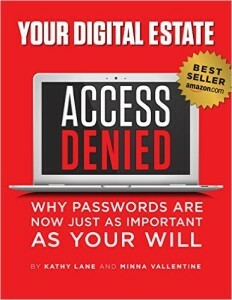 For more information about digital assets, check out our book ACCESS DENIED or go to our website www.DieSmart.com. This entry was posted in digital assets and tagged Access Denied, diesmart, Digital assets, digital property, Probate, trust, UFADAA on April 18, 2016 by Minna Vallentine. Which state is the first to adopt the revised UFADAA? 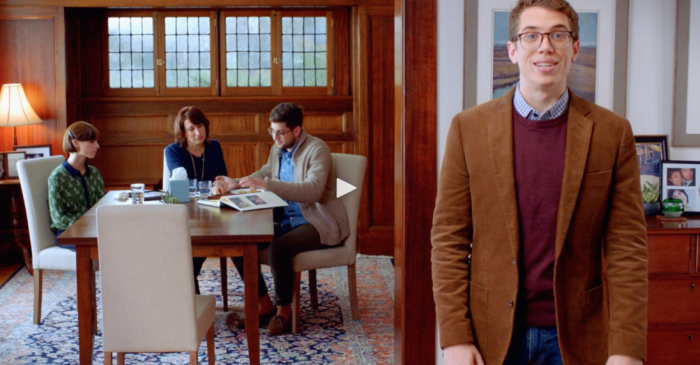 Oregon became the first state to adopt the revised Uniform fiduciary Access to Digital Assets Act when Governor Kate Brown signed it into law on March 3, 2016. It will become effective on January 1, 2017. The revised act is designed to ensure that account holders can retail control of their digital property and can plan for its disposition after their death. It also helps avoid circumstances where online service providers delete deceased’s accounts without authorization or refuse to hand over access and information to permitted fiduciaries. For more information about the revised UFADAA, go to www.diesmart.com. This entry was posted in digital assets and tagged death, diesmart, digital asset, digital estate, Oregon, Probate, trust, UFADAA, will on April 10, 2016 by Minna Vallentine. Do you want to plan your own funeral? It used to be that if you wanted to plan your own funeral, you would sit down with pen and paper and write down your ideas. The ideas might be very simple or, conversely, completely elaborate. However, they would only be documented on that paper you prepared. Today there are alternatives. Three of the latest apps that can help you are Everest, Cake and SafeBeyond. These death apps promise to “help a person organize his or her entire online life into a bundle of digital living wills, funeral plans, multimedia memorial portfolios and digital estate arrangements.” In addition, some death apps digitally transmit account passwords to your loved ones after you die. Another service, Afternote, offers templates so you can create a multimedia tribute about yourself while you’re still alive. The article I read on this subject had a headline “My name’s Will, and I’m dead.” (See photo above.) While he was still alive, Will left a detailed plan for the funeral he wanted and his family was able to use his plan to make arrangements. He made a video explaining what he’d done and explaining why. 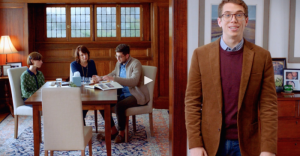 After his death, his loved ones watched the video and, although they were upset, the were not as stressed as they would have been if they had to plan the whole thing themselves and guess at what Will would have wanted. Many people are beginning to incorporate their digital lives into their end of life plans and are recognizing how important a step it is. According to a 2011 McAfee study, the average American valued their digital assets at around $55,000 and had at least 90 online accounts. If the valued assets and access to the online accounts are not documented, they may all be lost after death. It is important that you start making a plan today. It doesn’t matter whether it’s on paper or developed thru an online software program like one of these. Regardless, you should start planning today. 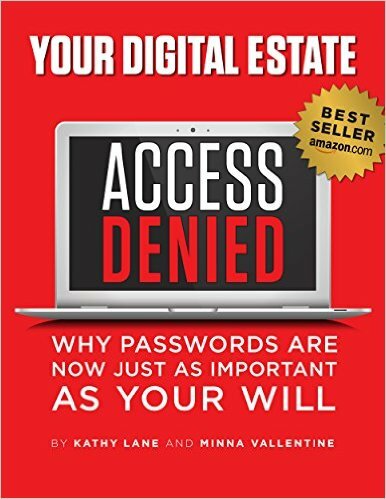 In addition to looking at software programs, you should read our book Access Denied to find out what you have to do to make sure that your loved ones will have access to everything once you’re gone and check out our website www.diesmart.com. This entry was posted in digital assets and tagged Afternote, Cake, death planning, diesmart, Digital assets, Everest, Probate, SafeBeyond, will on April 3, 2016 by Minna Vallentine.